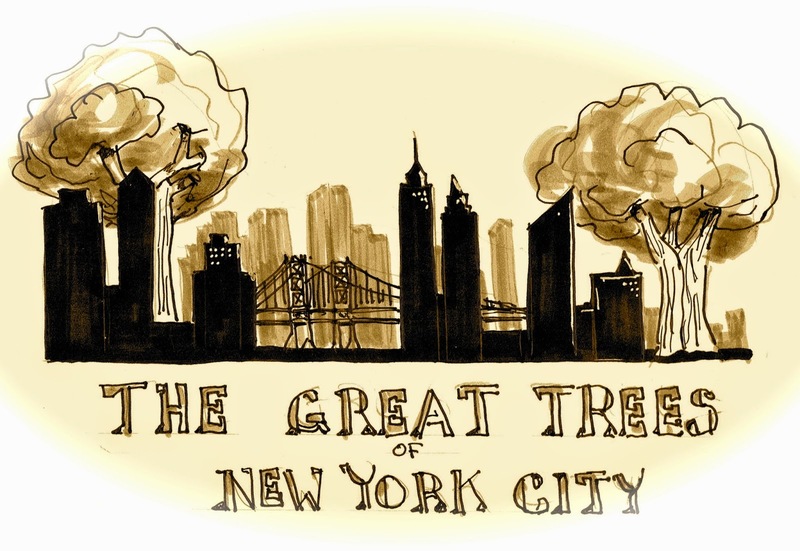 There are 5.2 Million Trees in New York City. They provide 44,509 acres of tree canopy and remove 2,204 tons of pollution each year. We are going to sketch three extraordinary trees - each with its own unique story. 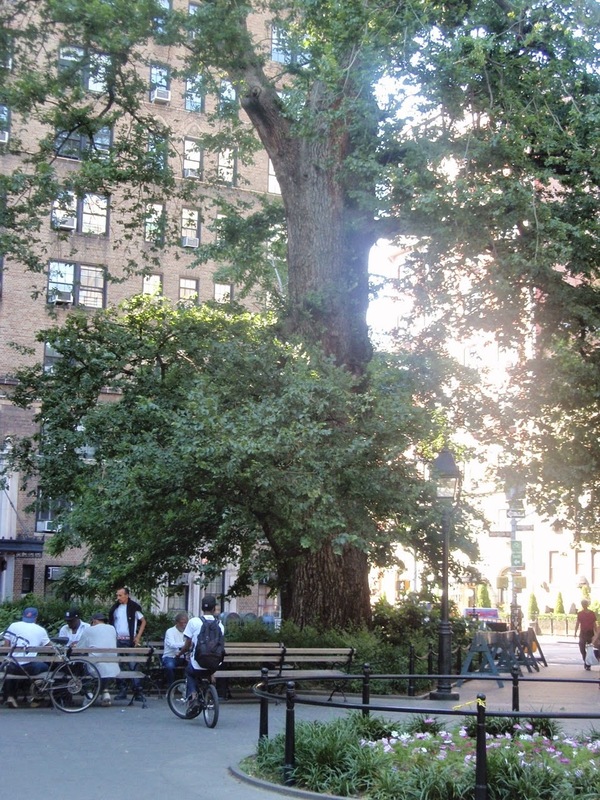 Our sketch tour will start at 163rd Street and St. Nicholas Avenue where we will sketch The Dinosaur, an English Elm standing 110’. The tree stood on what was the Morris-Jumel estate. On November 16, 1776, nearly 238 years ago, George Washington stood under this tree and watched the tides of battle turn against his forces. At the battle of Fort Washington New York City fell to the British and remained in English control until the end of the civil war. Today this tree stands inconspicuously in the middle of a typical NYC street, a giant witness to history. Our second stop will be to sketch The Hanging Tree. Another English Elm, located at the Northeast Corner of Washington Square Park. It also stands 110’ with a diameter of 56”. The Parks Department determined that it’s 310 years and it is commonly believed to be the oldest tree in the city. While there are no records to confirm any public hangings there are lots of rumors. In 1824 the Marquis de Lafayette claimed to have witnessed 20 highwaymen hanged from the tree. Other rumors said traitors were hung there during the revolutionary war. Research suggests these stories are fabrications. The land was a privately owned farm and then became a Potter’s Field. As the city grew it was eventually cleared and made into a park area, becoming the Washington Square we now know. Our third and last stop will be Tompkins Square Park, site of The Hare Krishna Tree. A giant American Elm of undetermined, but significant height and width. It was one of the trees that survived the Dutch Elm disease epidemic of the 1930s. The site is actually considered sacred by the followers of the Hare Krishna religion. On October 9, 1966 A.C. Bhaktivedanta Swami Prabhupada, the movement’s founder, held his first outdoor chanting session in the US under the shade of this tree. An enthused audience chanted, sang and danced for two hours. Included among the many who attended was the famous Beat Poet – Allan Ginsberg. To this day the Hare Krishna faithful pay tribute to the tree, leaving flowers and other tokens of respect at its base. 1.) We meet at the Dinosaur - St Nicholas Ave & W 163rd at 10:00 AM. The A, C train to 163rd St and Amsterdam Avenue stops one block away. 2.) We meet at the Hanging Tree – Waverly Place and McDougal Street (signs will actually say Washington Square North and West at 12:00 Noon The closest subway is the West 4th Street stop of the A,B C,D, E,F and M trains. The tree is in the park but close to the entrance. There are benches nearby. 3.) 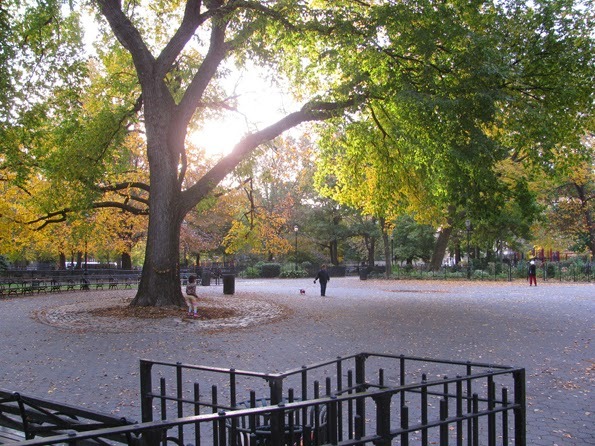 We meet at the Hare Krishna Tree – Tompkins Square Park starts at Avenue A and East 7th Street. We will meet at that corner and then go into the park at 2:30 PM. The park extends east to Avenue B and north to East 10th Street. The tree is in the park. It should be easy to find, although the park has many trees, this one if by far the tallest. Sketch all three or select the portion you want. (But only if absolutely necessary as I will be busy drawing too. There are no fees or attendance taken. All drawing skill levels are welcome.